The UK is setting up three new laboratories in Sierra Leone to help test for the deadly Ebola virus. The Government has pledged new funds of £20m to build, run and staff the labs, which will be used to test blood samples and swabs for the virus. They will also be used to give the all-clear for Ebola patients who survive the disease. The World Health Organisation says 4,922 people have died from the disease in the current outbreak. 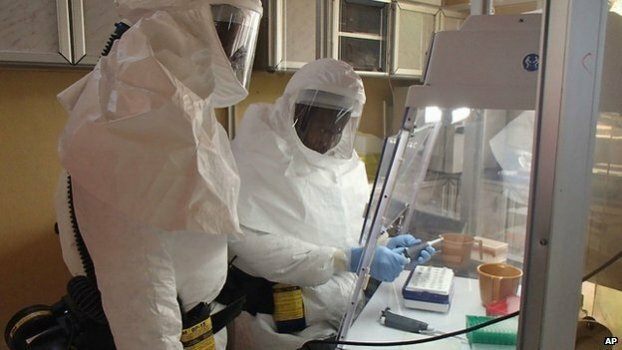 The first laboratory opened in Kerry Town last week next to a UK-funded Ebola treatment centre, doubling the country’s testing capacity. Two more are being built at UK treatment centres in Port Loko and Makeni under the direction of UK Royal Engineers, Public Health England (PHE) and the Department for International Development (DFID).